Savvy retailers are increasingly utilizing smart technology to enhance their customers’ instore experience. We have already seen Hirsh and Mann’s smart sample spoon, which helps customers remember the mustard flavors they liked. Now, Japanese retail chain Uniqlo has collaborated with Alexander Svensson to install smart heat-sensitive mirrors in its changing rooms, to enable customers to see their Heattech clothing in action. Their thermal range stores body heat in air pockets within the fibers, but its ultra-thin appearance often causes consumers to question its effectiveness. The Heattech Mirror visually displays the wearer’s body temperature rising in the mirror. The smart mirror is connected to a thermal camera, and when a customer enters with an item of Heattech clothing, the RFID chip in the alarm tag activates the camera. Then, when the customer tries on the clothing they can see exactly how much their body temperature is being raised by the garment, showing them its effectiveness. 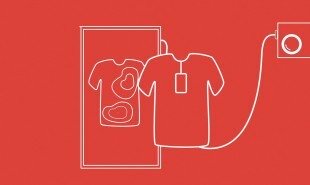 How else could stores use smart technology to demonstrate the benefits of their clothing? The post Smart mirrors in fitting rooms show heat in action appeared first on Springwise.